I was expecting to hear more from Carl Sagan but instead had to endure mainly Ann Druyan. It’s a great story but her voice is grandma like and personally it wasn’t to my listening taste. Everything you would expect from Carl Sagan and Ann Druyan. Brilliant and insightful. More people need to listen to this book. A unique perspective on our fragile little world. it's always a joy to listen to Carl Sagan words - he was a legend. Ann Druyan should not have narrated this. Although enthusiastic, it was a chore listening to her despite the wonderful content. Carl Sagan's masterful piecing together of fact and wonder. Not really. The first few chapters read by Carl Sagan were perfect but the takeover was painful. Read Cosmos and stop there. This book needs to be re-recorded by another reader. 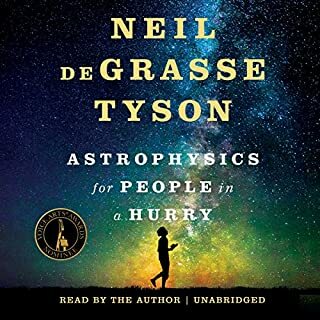 It must first be said, there is a distinct and woeful absence of Carl Sagan in the narration of this book. 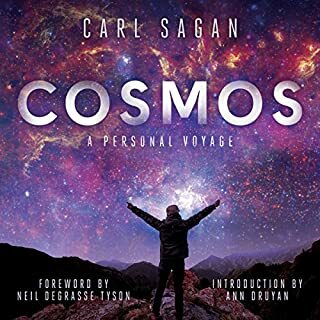 Whilst the details indicate that it is jointly narrated by both Carl Sagan and Ann Druyan, Carl only narrates four short chapters at the very beginning of the book and after that the remaining 85% is narrated by Ann. Not that I can be critical of Ann Druyan who conducts the narration with a great deal of grace, though she is no substitute for the great Carl Sagan. Though if you have ever heard Carl Sagan speaking you realise that he speaks with a great deal of awe and even reverence about science and this is something that comes across with Ann. That being said, she would not be my first and most obvious choice as a narrator for this book. Her voice occasionally sounds tired, though she is always clear in what she says so I cannot raise much fault. I was disappointed that there was so little of Carl to this book. 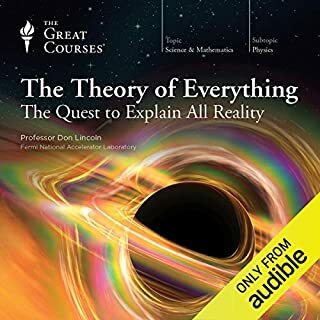 The book itself mostly focuses upon the science of astrophysics and the attempts to discover more and understand more about the universe that surrounds us. 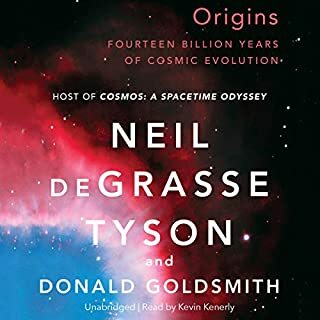 If you have read Cosmos by Sagan you will find that many sections are repeated here, though the book is a quite glorious introduction and study of space about us and the issues we face in trying to understand it. The book makes numerous points about the lack of funding for space exploration, which when costed properly is only a small fraction of what is paid in defence budgets. 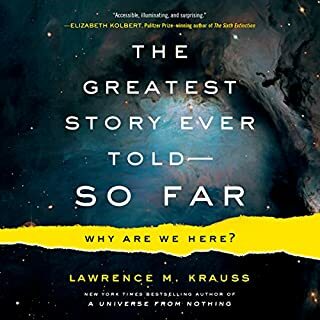 If you have an interest in science and astrophysics you will enjoy this book greatly, especially in later chapters as it hypothesises about how humanity will take to exploring the solar system and access the resources it has to offer. 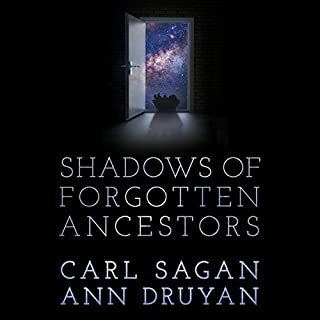 So great to hear Mr Sagan himself read his own work (mostly) in this wonderfully insightful book pondering our next steps into the star fields of time. At the end we can only come to the conclusion that to wander and ponder is in our nature and ultimately it will lead to our survival. We do indeed belong among the stars and we always have. For wanderers everywhere: Pale Blue Dot is, for me, an essential, magical and thought-provoking experience. I had read Pale Blue Dot before, and loved it. 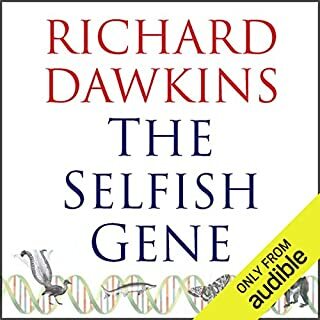 I was delighted when I learned this audiobook was in the works again. Having finished it, this version has exceeded my, frankly, stellar expectations. 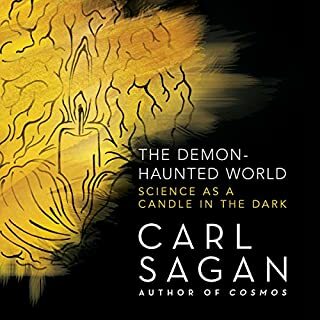 As other reviewers have noted, the opening chapters are Carl Sagan's original recording - remastered. The rest is then read by Ann Druyan. 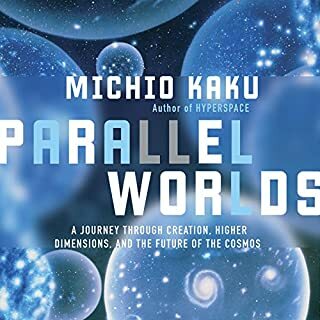 Personally, I thought both parts are a fitting reflection of their partnership - exploring and connected through space and time. Ann, in my opinion, does a beautiful job. For the unfamiliar, the book is named in reference to the image of the Earth, captured by Voyager 1, then 6 billion miles away on Valentines Day, 1990. The story behind the picture, and the 4 ships humans had then sent to the stars is hugely moving. Just one example of the brilliant storytelling throughout. Like the image itself: the nuance and depth of the perspective in this book is powerful and inspiring. A perspective we may be gaining just in time. I'd have liked to have listened to it whilst stargazing. The chapters take you beyond any darkness, to beautiful points of intellectual and, subtly, almost spiritual light, again and again. 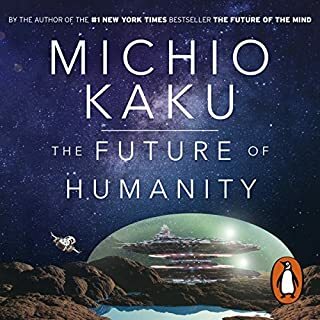 I would recommend it for anyone interested in how our humanity can keep up with our technology. Also for anybody concerned with exploring other worlds and/or our doing right by this one, and all the Earth's inhabitants. 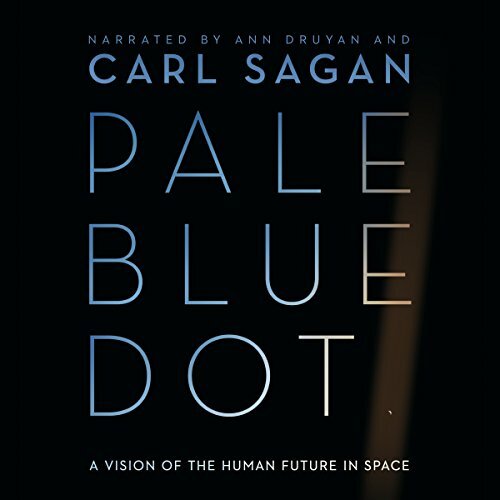 Would you consider the audio edition of Pale Blue Dot to be better than the print version? First let me start by saying I have the book, and an audio version of the book I downloaded a couple years ago. Now as Ann Druyan has stated in the beginning of the audio book that she got the masters and some where degraded. 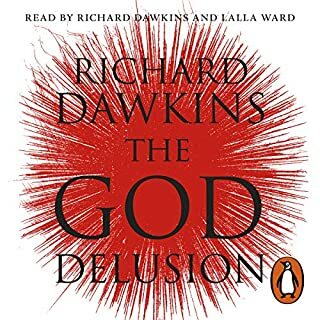 From the audio book version I downloaded you can hear Carl's voice in every chapter, with some chapters having bits filled by another person as well as a distinct humm at times. However, id say that version has around 85-90% of it read by Carl Sagan. 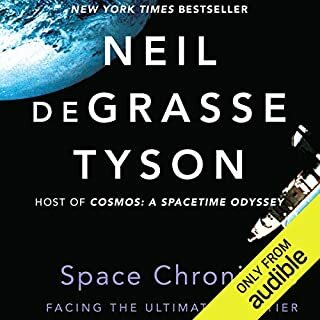 Now it must be said I have nothing against Ann Druyan, I have high respect for her but her voice is not Carl Sagan and its his voice you want this book for. 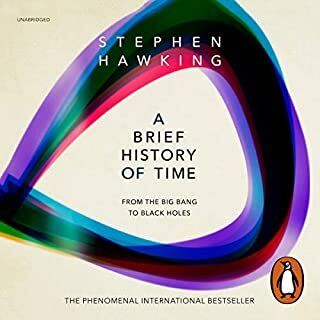 So before you buy consider that whilst its an amazing life changing book with anyone reading, Carl's voice only narrates the first 4 Chapters, from then on its Ann Druyan. 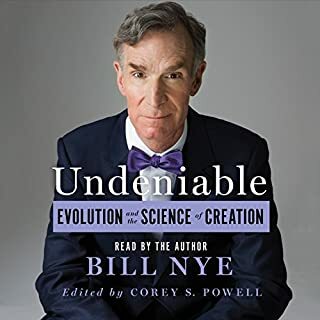 I am a little disappointed since the downloaded version I have before the audible release features the majority of Carl's voice even if not perfect quality. I was hoping they would of took those and cleared them up and featured only Ann Druyan in the spaces where another person filled the gaps for Carl. 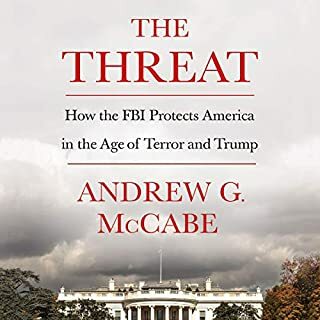 Either way a great book, but just a heads up. What was one of the most memorable moments of Pale Blue Dot? You are here quote or section read from Carl in HQ. Carl and Ann didn't, perfect reading. no, takes time to digest and savour. Still good for fans of Carl and this book is one of his greats for me. Amazing book. Incredible to have Carl Sagan reading part of it, but having Ann Druyan read the rest is a fitting tribute. Highly recommended. 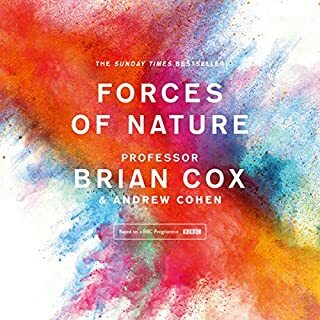 This book offers a profoundly moving point of view of the fragility and vulnerability of the Earth and a humbling look at the human condition and the clear and present danger of the blind arrogance with which we continue to allow our recklessly destructive actions to steer us towards our own demise. Yet though this depressing and deeply troubling truth there is still hope and optimism that it is not too late and the ability to change exists within us. 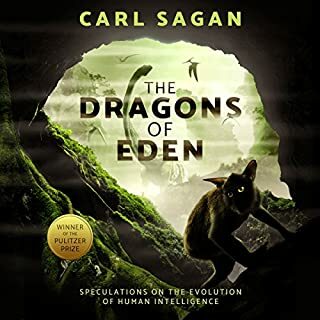 These profound sentiments are beautifully communicated in the inimitable poetic expressions of Carl Sagan himself for many of the chapters of this book, though sadly the recordings of most were lost and as such have been narrated by his wife. Some points are stretched out, but expected from an old book. Carl Sagan is brilliant and his wife does her best to read his words in the latter half since he died before he finished recording the vocals. Easy to see how such wonderfully crafted words inspired the likes of Neil deGrasse Tyson. Let's hope that Elon Musk and spaceX can continue the inspiration of apollo to the next generation of humanity! 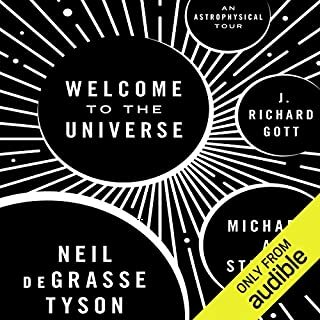 I have to say the narration by Carl Sagan's wife detracted from the whole experience for me - to the point where I had to put the book aside. It was like listening to someone tell a fairy story or was reading a bedtime tale to a child when in fact I wanted to be educated.